Looking for something to do in the South Bay this weekend? Come to the Obon Festival hosted by the San Jose Buddhist Church Betsuin! 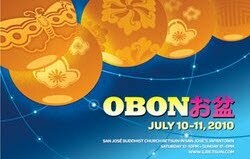 For those of you not living near San Jose, here is a website showing other Obon Festivals taking place--mostly West Coast. 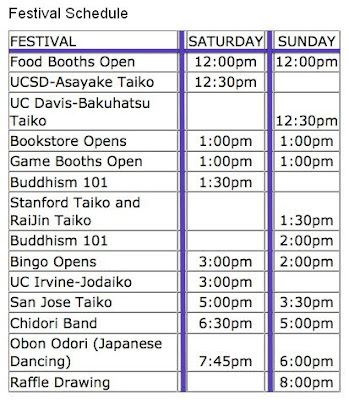 If you live in a less diverse community, try Google searching your city or state name with "Obon Festival 2010" and see if you get lucky.